The memory of trying on a wedding dress is something that you will cherish for the rest of your life. At Thornbury Brides, we make sure that our bridal studio is a relaxing environment, inviting brides-to-be to make a pressure-free decision in finding the dress of their dreams. Thornbury Brides is open by appointment only so that we can give each bride the undivided attention that she deserves. You should think of your first appointment with us as no different than your wedding day – all about the bride! Whether you know exactly what you’re looking for, or you’re entering this journey with an open mind, please fill out the form below to set up your appointment. 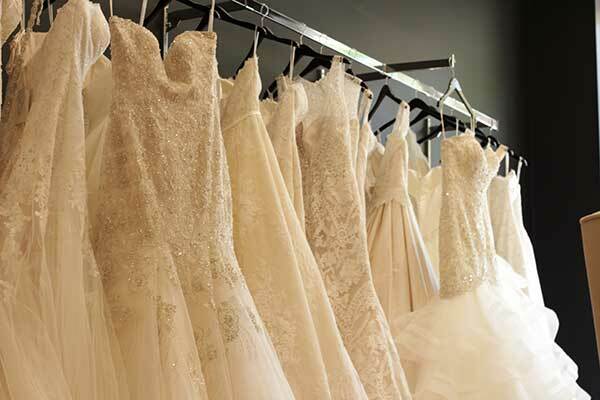 Our staff will assist you in trying on various styles, finding the perfect fit, and recommending bridal accessories.